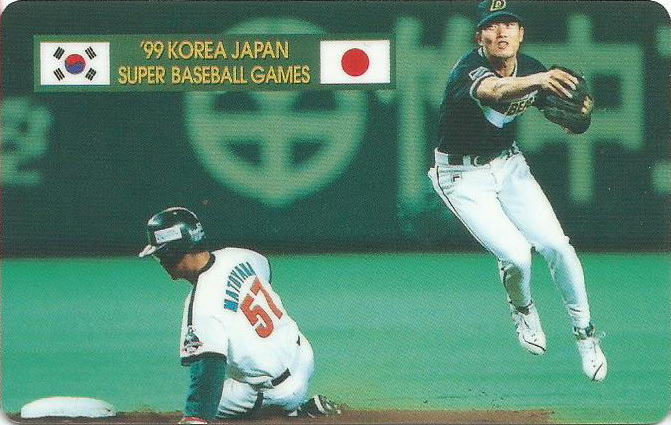 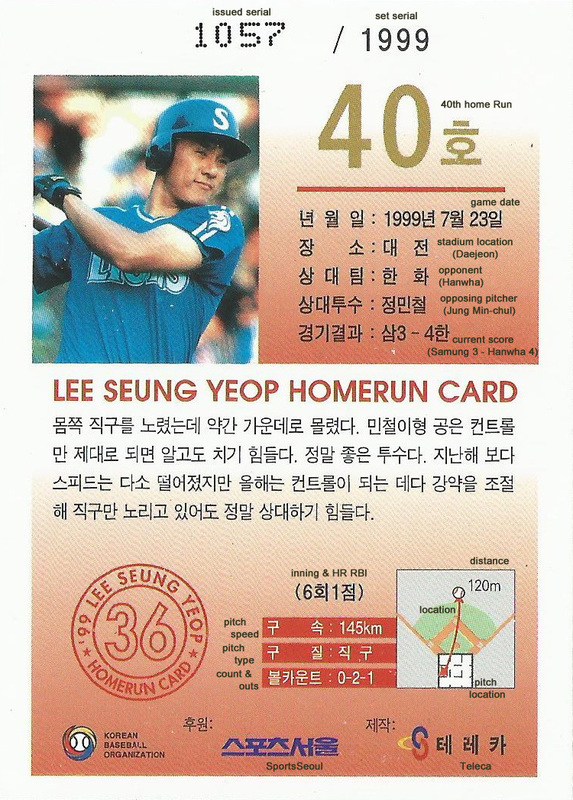 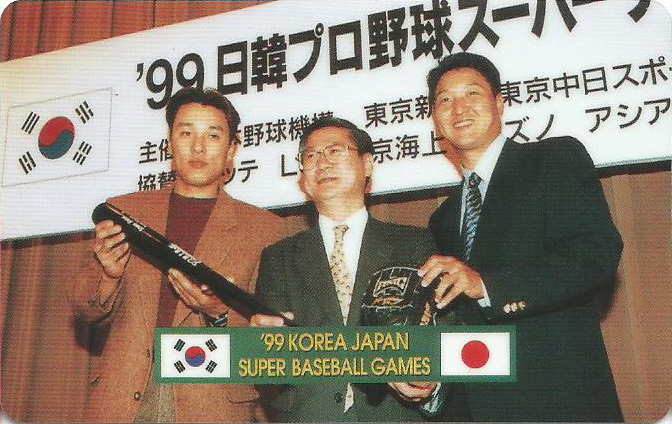 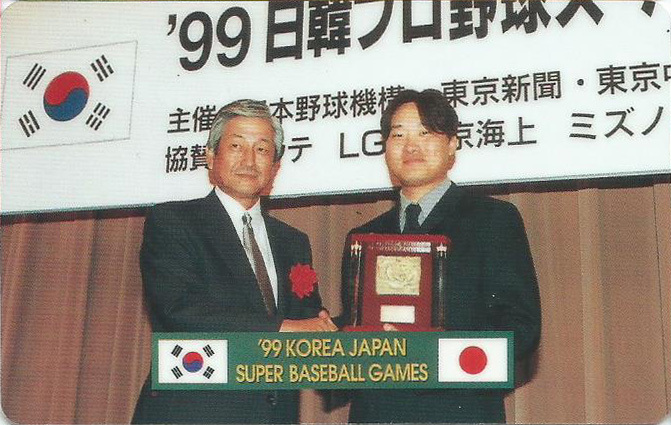 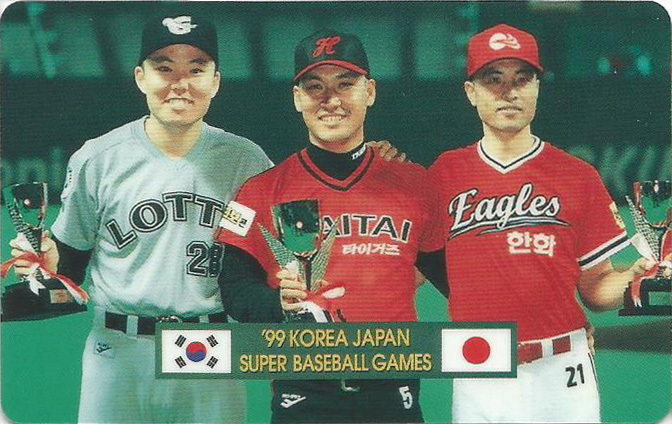 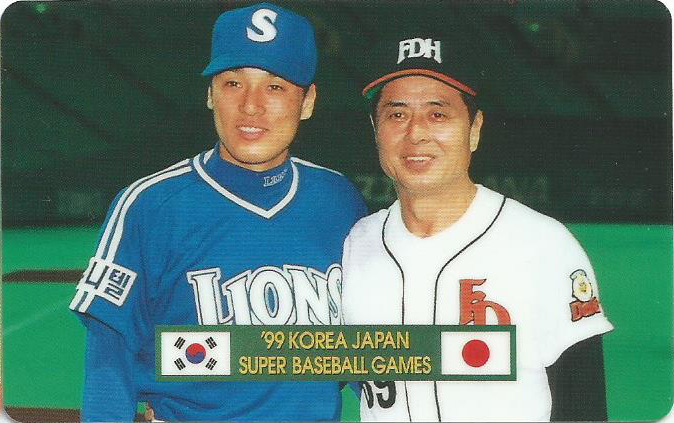 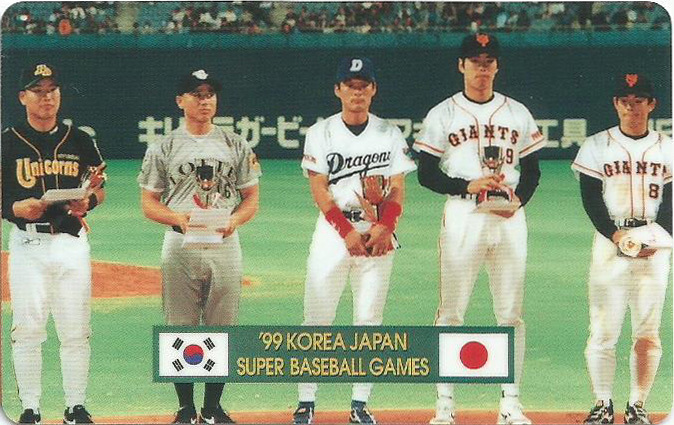 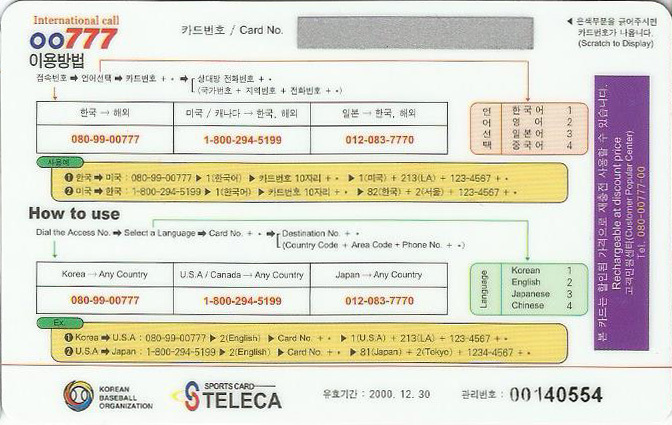 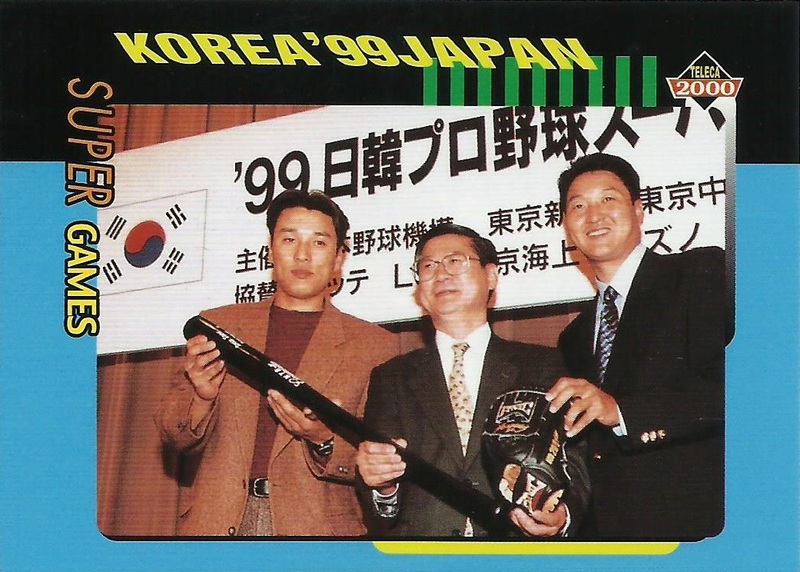 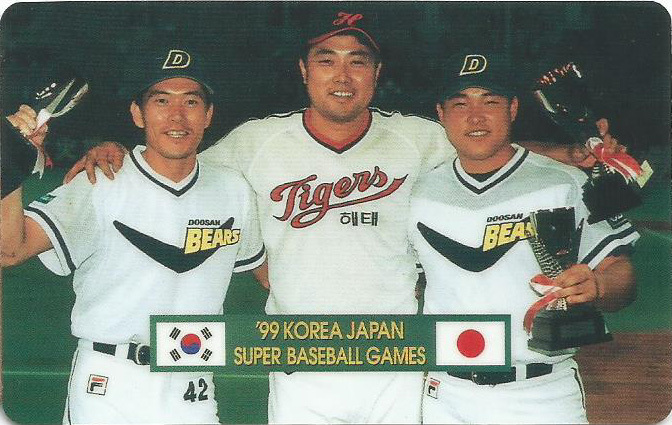 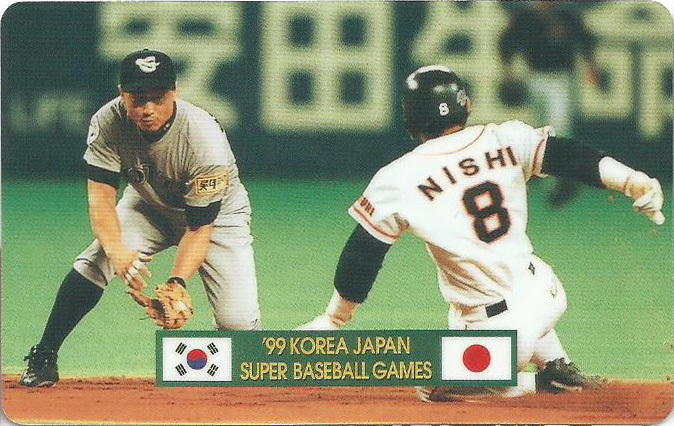 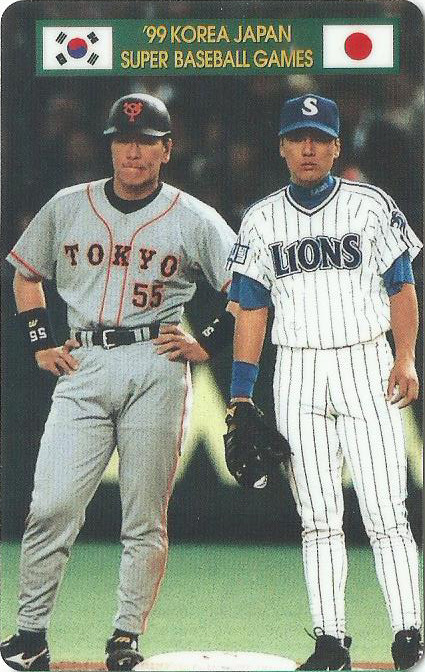 You may already know about the 2000 Teleca '99 Korea Japan Super Game 46-card set which is a tough one to complete but I didn't know these phone cards, for the same game, existed until I saw them last week on a Naver sports card forum. 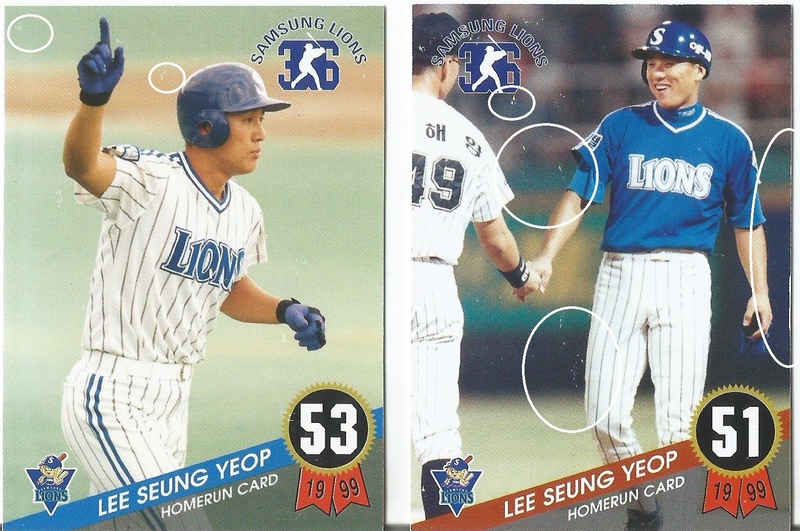 NPBcardguy did a review on the card set here The images for both the card set and phone card set are the same but the designs are significantly different. 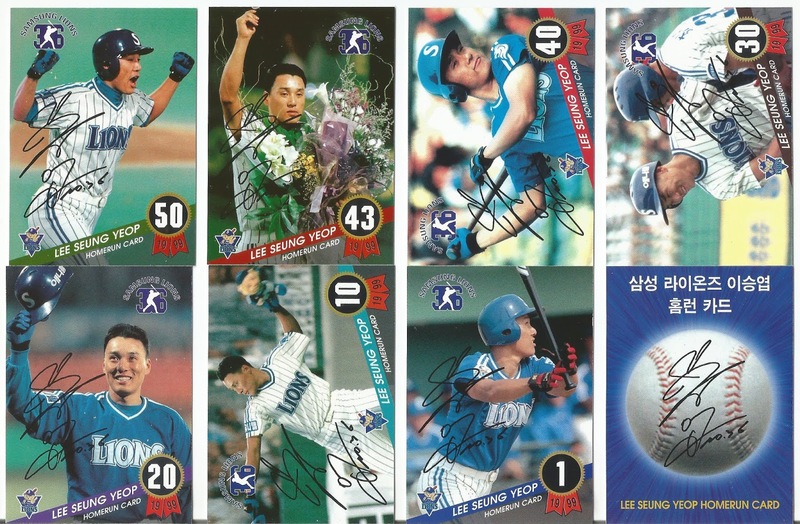 I picked up a batch of 10 but I do not know how many there are all together. 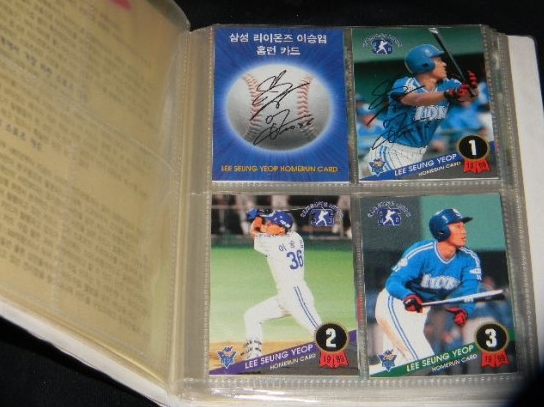 I'd much prefer to buy these as a complete set but having never seen these before, I pulled the trigger and bought the ten phone cards. 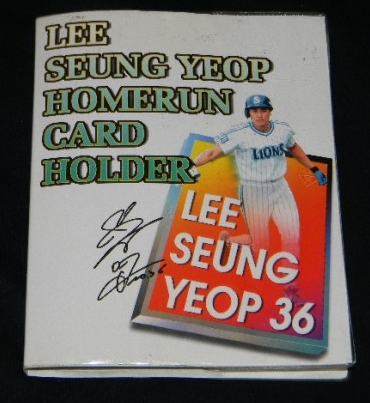 I have no idea how many there are. 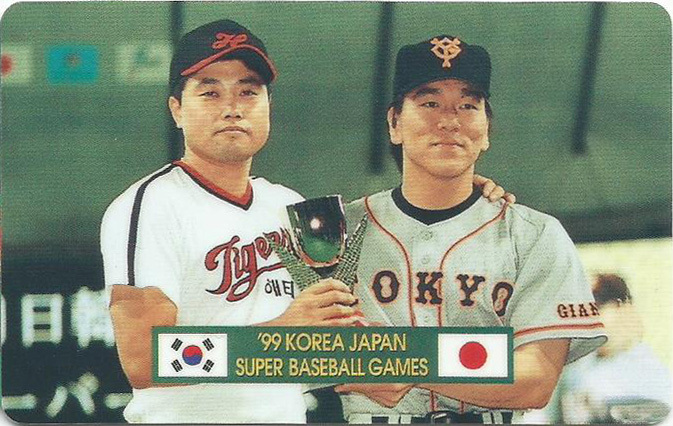 I would like to complete a full checklist so I can send the Lees for grading. 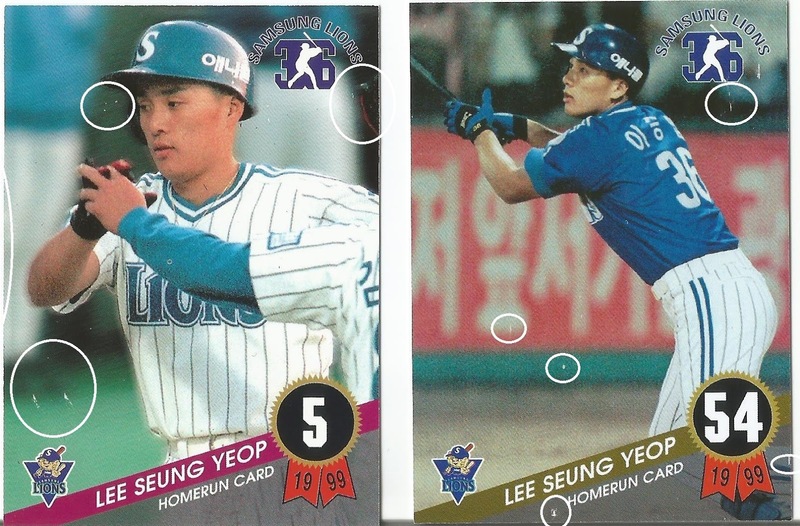 I am thinking of uploading these cards as a set to TCDB and insert any I find later.